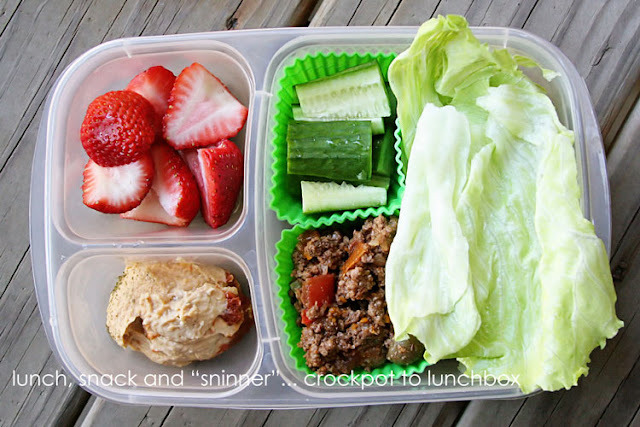 Since I'll be using EasyLunchboxes this year for Lucy's school lunches, I have put together a list of some of my favorite lunch box ideas! 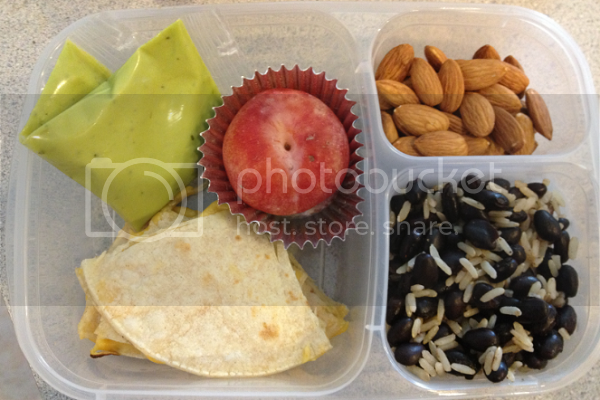 First we will start off with our first week of bento boxes! 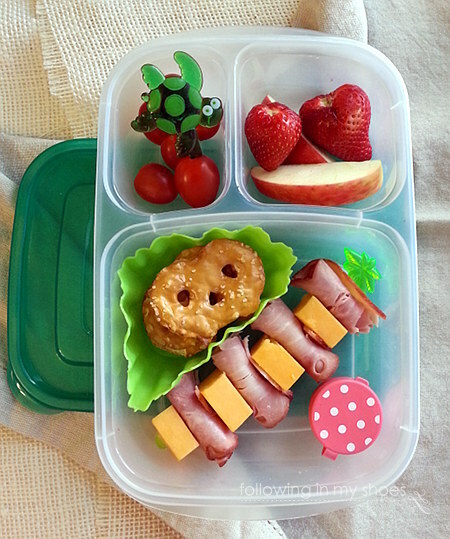 Top Left: A PB&J cut to look like a dinosaur, a cutie, some blueberries and raspberries and some crinkle cut carrots. 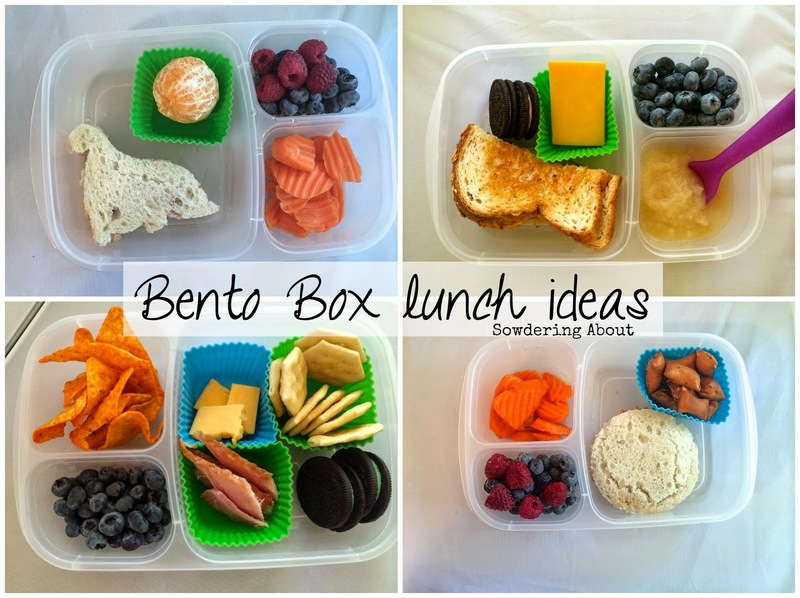 Bottom Left: Homemade "lunchables," crackers, ham slices, cheese, two minty oreos, blueberries and some Doritos. 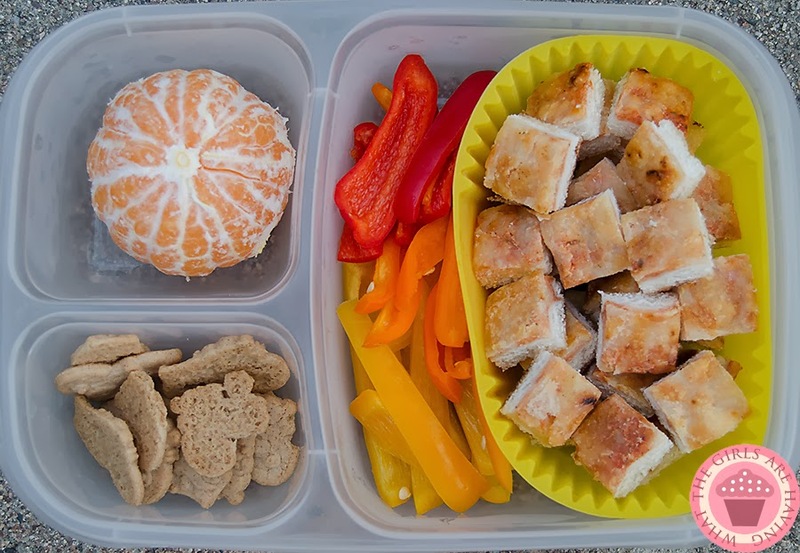 Bottom Right: A PB&J cut into a circle, some peanut butter pretzel snacks, blueberries and raspberries and crinkle cut carrots. 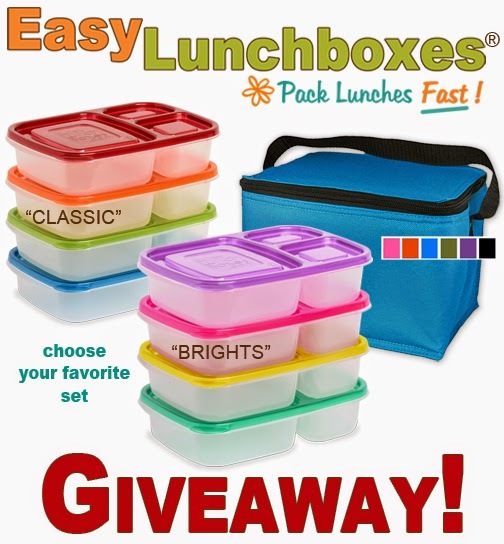 Don't forget to enter in my giveaway for your very own set of EasyLunchboxes! This giveaway is available to US residents only. 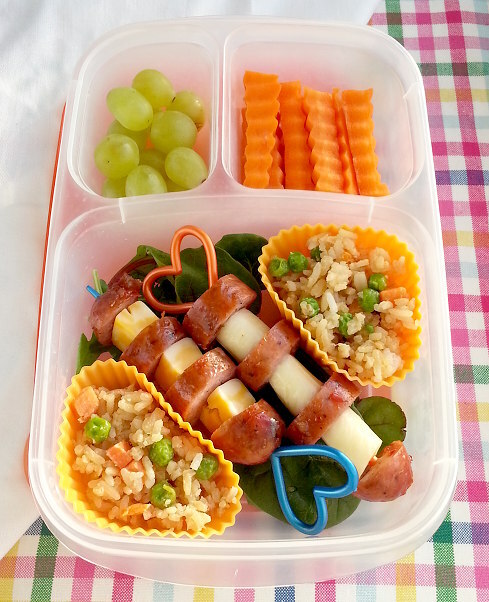 Now to share some other bento box ideas!